If you are an innovative female entrepreneur based in Lagos, Nigeria and looking for scalable growth, you are in luck because the SME Boutique Women’s Exclusive Club (SWEC) has been launched just for you. SWEC is an exclusive club for Lagos based female entrepreneurs who are seeking business growth and personal development opportunities and will offer brand visibility, capacity building business opportunities, mentoring and networking and access to financing, to name just a few of the free services. Learn more: Girl Boss! Are you an Innovative Female Entrepreneur looking for business growth opportunities? Apply to join the SME Boutique Women’s Exclusive Club (SWEC) Business Plan Accelerator Programme Scale UP! 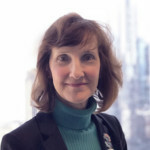 Note: Don’t miss our next WEGG webinar 8/24 on “Reach Multilingual Markets: Creating Content, Developing Effective Partnerships, and Utilizing Translation Technology,” and presented by expert Jennifer Murphy, Director of Marketing, Eriksen Translations, Inc. Register here: https://attendee.gotowebinar.com/register/8702241284561995012. Event is no charge but you must register in advance to attend.